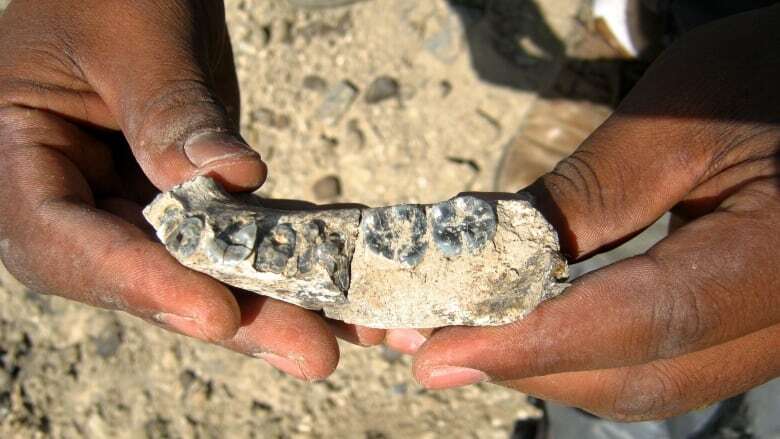 A team working in the Afar region of Ethiopia has announced the discovery of a fossil representing a new species in the human family - the oldest member of the genus Homo found to date. The fossil is 2.8 million years old, and all that's been found so far is a large piece of the lower jaw containing several teeth. However according to Dr. Brian Villmoare, an anthropologist at the University of Las Vegas, Nevada, you can tell a lot from just that small piece of jaw. It has features that place the creature squarely between the small, chimplike Australopithecus afarensis, dating back about 3 million years, and the larger, much more human-like Homo erectus which appeared about 2 million years ago.